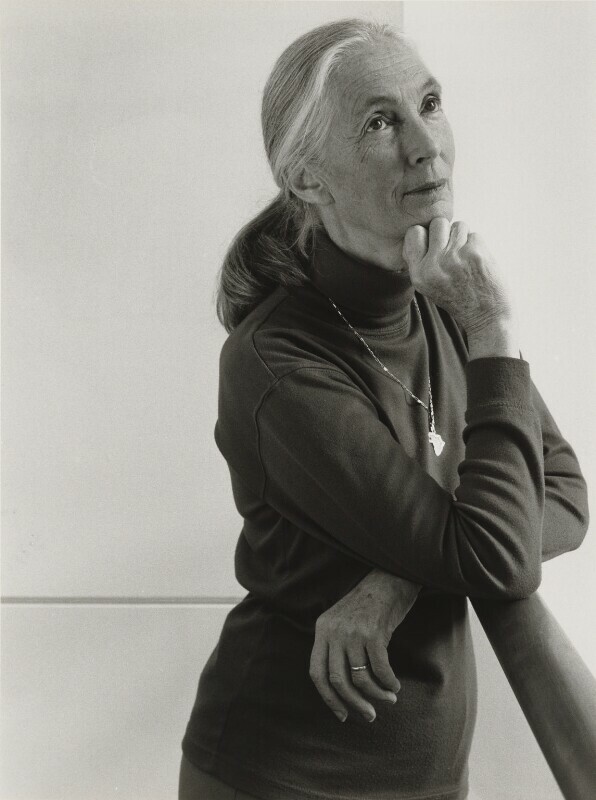 Dame (Valerie) Jane Goodall (née Morris-Goodall) (1934-), Zoologist and conservationist. Sitter in 3 portraits. Julia Hedgecoe (1938-). Artist of 20 portraits.